James Alexander co-Founded and was CEO and Board Director of Zopa, the disruptive peer to peer finance pioneer. Zopa’s approach paved the way for other collaborative and crowdfunding concepts such as AirBnB, Uber and Funding Circle. 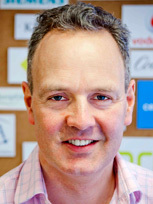 James continues to advise a number of fintech players including Seedrs, Loot, giffgaff money and LandBay. He is now a Director of Future Agenda the world’s largest open foresight programme, which provides expert insight to help individuals and organisations make more informed decisions and place more intelligent bets over the medium term. In 2015, Future Agenda explored the future of 24 topics with 5,000 experts via 120 events in 45 cities and 35 countries. James was previously strategy director at Egg and was Partner at The Foundation, a growth and innovation consultancy that helps businesses grow by becoming more customer focused. His clients included: Tesco, Eurostar, Barclays, HSBC, and Save the Children. 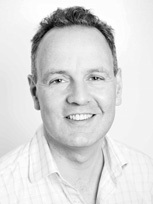 James holds an MBA from INSEAD and a 1st class honours degree from University College, London. He is also a birdwatcher and was fortunate enough to be part of a 3-person team who re-discovered three species of bird, considered by many to be extinct. James passionate, inspiring and exciting presentations examine disruption across a range of industries and consider how long-established organisations can drive innovation and be better prepared for the future.